The teen is currently in critical condition. We're learning more about a teenager shot in the head inside a Chinese restaurant in South Philadelphia last night. NBC10's Miguel Martinez-Valle has the story. 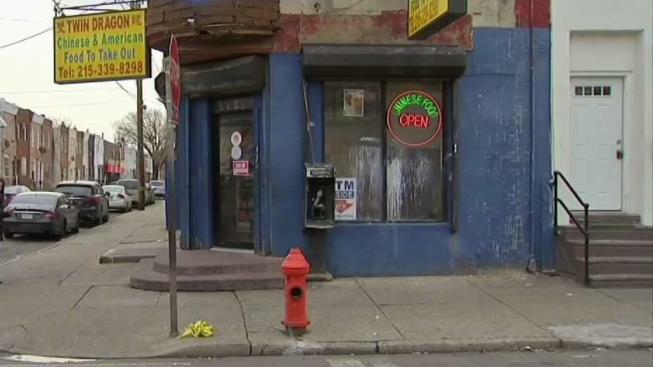 A teen boy is fighting for his life after he tried to flee from a gunman but was shot in the head when he ran inside a South Philadelphia Chinese restaurant. The teen, identified by friends and neighbors as 17-year-old Nassir Livingston, ran into the Twin Dragon takeout restaurant at 27th and Dickinson streets just after 9 p.m. Tuesday. According to witnesses, the teen told them he was running away from a man who had been chasing him in the streets and was begging for an employee to not let the man inside. "The boy begged and asked her to pull the thing down," said Ruby Foster, the aunt of two teens who were inside the restaurant with Livingston. "'Save my life! They're coming to kill me! They're coming after me!' She said, 'No,' to this boy." Livingston and Foster's nephews attempted to hold the door to prevent the suspect from coming in. Police say the suspect then took out a gun and fired two shots. One bullet went through the door and struck Livingston in the head. The suspect then fled the scene in a silver vehicle. Livingston was taken to the Penn Presbyterian Medical Center where he is currently in critical condition. Foster's nephews weren't injured during the shooting. She told NBC10 they won't be going back to the takeout restaurant however. "This has got to stop," Foster said. "Not the first time I've experienced this at this store. This is not the first time that someone got killed and asked the store to bring it down." One person, who did not want to reveal his full name, told NBC10 he grew up with Livingston in Grays Ferry. "He was a good kid," he said. "He doesn't go around starting trouble or nothing. He just stayed to himself. He comes here once in awhile to the Chinese store." He also said he doesn't blame the takeout spot for what happened. Instead, he believes more police should've been present. "I never see any cops out here," he said. "Last month all these people just got shot. It was like four shootings." Foster, meanwhile, is hoping that the teen recovers. "My heart goes out to the boy's family," she said. "I pray hard for him." No arrests have been made and a weapon has not been recovered. Investigators hoped surveillance footage would help them track down the shooter.